Many professional photographers aim for the best possible composition in camera. When you take the image, it’s important to keep in mind that if you want to retain the full camera resolution you want to compose the photo before snapping. But in many instances, you won’t be able to do that. For wildlife photography, you may not be able to get close enough with your longest lens. For portraits or wedding images you may find a more pleasing crop or wish to eliminate parts of the background. 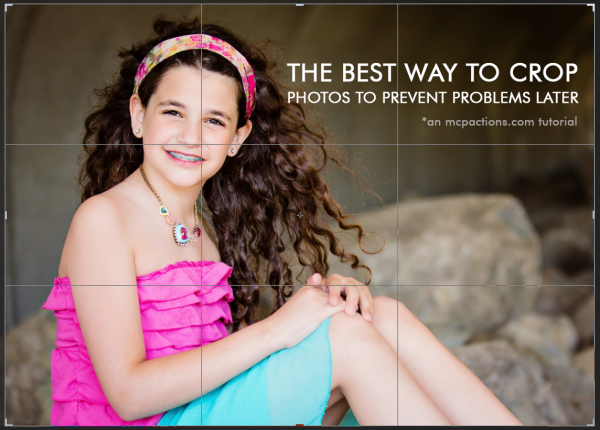 In camera, make sure you leave room to crop to various aspect ratios. A 4×6, a 5×7 and a 8×10 all are different proportions. Confused? Read this about aspect ratios. Crop non-destructively. When possible, use non-destructive methods. This way you retain the extra pixels if you need to re-crop in the future. Lightroom allows you to crop without actually eliminating pixels, and Photoshop CS6 and CC/CC2014 allow you to do this as well. Just make sure the option “delete cropped pixels” is off in your Photoshop cropping opinions. Don’t crop too close, when using a destructive cropping method — or first save the un-cropped, but edited image. Crop as your last step in editing. As hard as it may be to resist, it is best to crop last. This way you can save a full edit before cropping in case you need to order a different size/ratio for a print and need those extra pixels. Also, if you use CS6 or CC/CC2014, you will lose the “Background” as it renames to “Layer 0” when using the non-destructive cropping. Then you may run into conflicts running Photoshop actions that use the Background layer as a step. Waiting till then end to decide on your composition avoids this conflict. Or click here for other remedies to this problem. *** Do you have a great tip for photographers about editing? Contact us for your change to share it on the MCP Blog. Video Tutorial: How to Crop in Photoshop * Plus a fun trick! 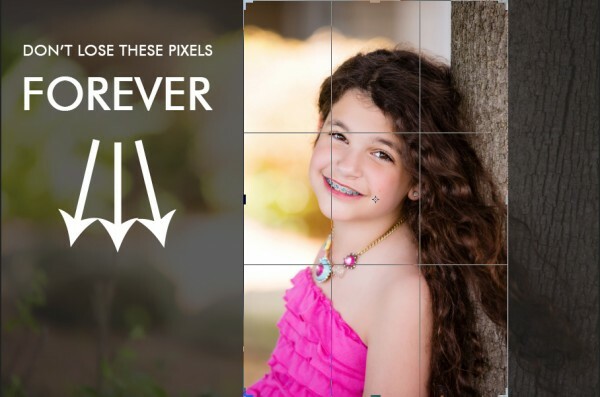 If it does lose the “background” layer and you have no other valuable layers to worry about – right click on layer and flatten image and viola “background” layer returns.